Guide prices tend to fluctuate quite a bit since not as many sell all by theirselves. Complete sets are slightly up in price due to a brand-new copy of EarthBound selling for $1500, but even without that the average price is still slightly up over last month. In fact, I think twice as many complete sets as usual sold this past month. I’m not sure why that would be, but the price range is all over the place as you can see – some went for as low as $280 while some went for $600+. 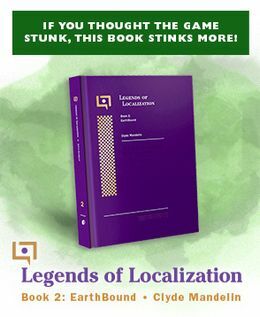 Anyway, if you’re thinking of buying a copy of EarthBound or the guide or a complete set sometime, be sure to check out the tips and info on buyearthbound.com! it’s nice seeing the price still dropping. I will probably get myself a copy now. Wow! lowest is finally under 100! Hello eBay! I really don’t think when eb gets released that the price will drop a decent amount. Glad to see the prices getting better. It will probably go down more when it’s released on the VC, but don’t expect it to be cheap. The DS version of Chrono Trigger is cheap, but the SNES carts are still pretty high. If less people buy the carts, and there’s less demand because of VC, I can see it dropping to 60 dollars, but I doubt fans are going to stop wanting physical copies of their favorite game. 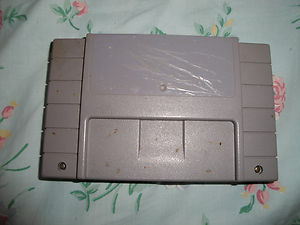 Should I sell my Earthbound cart for a good price, then wait till the price drops and buy another one? EBony, I wouldn’t do that if I were you. We never know how much the price will drop, and at least for me, I have some sentimental feelings with all my cartridges. It’s absolutely ridiculous that anyone should have to pay more than 100$ for the game. I’d be tickled to shell out 100$ for a copy. But 170? 160? That’s 2 and a half months worth of gas money. I bought mine severel months ago, and it quickly became one of my favorite games. oddly enough, I feel attached to that cartridge. I wouldn’t sell mine if the price were to drop to 1 penny tomorrow. Yeah, you are right. I do have a lot of sentimental feelings with my Earthbound cart. It was one of the first video games I ever played. Got that $1,500 VGA copy sitting on display in my game room right now. Of course! Here you are. I can take some more photos if you like. @ Hakaisha It seems out of place (next to two rated “M” games), might I ask how you organize your games?